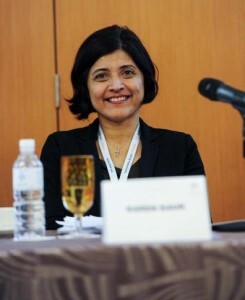 Our Karen Kaur was a panel speaker at a session entitled “Funds Offering in Asia and Passporting of Prospectuses Approved by Authorities in One Country by Another Country” at the Inter-Pacific Bar Association (IPBA) Conference held in Kuala Lumpur in April 2016. In addition to Karen, the panel comprised lawyers from Hong Kong (Ms. Vivien Teu), Singapore (Low Kah Keong) and Luxembourg (Herve LeClercq). Each of the countries represented have different funds passporting regimes which permit some form of cross-border offering of retail investment funds from one country to another, with the European model being the most developed. Each speaker gave updates from their respective jursidictions before discussing broader issues relating to the topic. Karen Kaur is a partner in the firm’s corporate department and focuses on investment funds and all issues pertaining to the investment management industry in Malaysia.